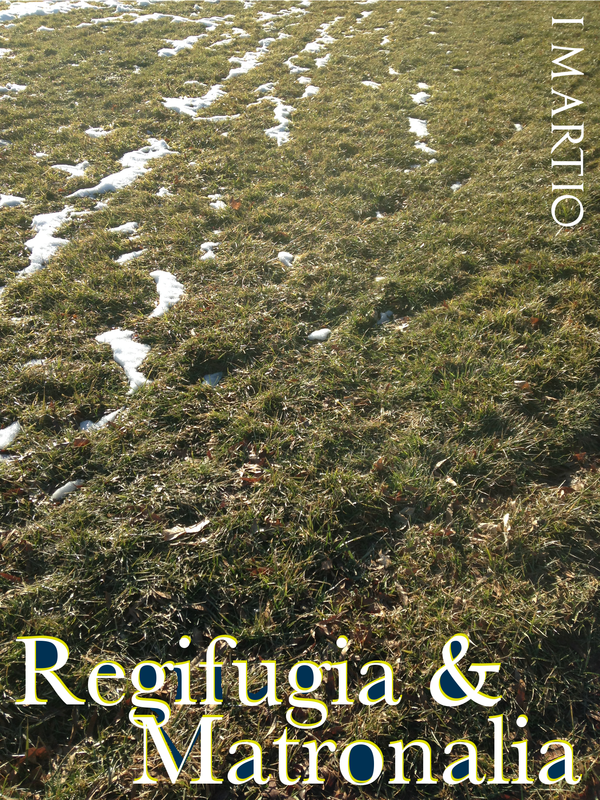 XVIII Februario et I Martio (28 February and 1 March) are the holidays for the new Sancta year, known as the holidays of the Regifugia and of the Matronalia. The holidays have been celebrated according to Sandum custom, and a possibly new tradition may have been made for the Matronalia. See this article for more information on the history of the holidays. The Sôgmô gave his Sancta Address last night on the Regifugia. The Sancta Address has been a Sandum tradition for the past few years, where the Sacra Flameno of the Collegio Sacerdae gives a speech in the Sancta language, a constructed language made for Sandus’s cultural development. Following the Address, cultural symbols and gods important to Sandus are invoked. The Address this year focused on the Sôgmô’s leaving home, turning Sandum culture into actions of our daily lives as citizens, important recent cultural developments, and the “civil religion” of Sandus. “Civil Religion” in Sandus is a misnomer, to some extent, as the State of Sandus abides by secularism within the running of the government and all public affairs. The cultural cooperative of the Collegio Sacerdae, however, was formed a month after the founding of the State of Sandus in May 2011. The introduction of classical religion into Sandus is primarily a culture-building focus and is done by the non-governmental organ of the Collegio Sacerdae. The speech also notes how the civil religion is in deference to “the modern spirit of secularism”, and it is the common perspective in Sandus to consider all the gods invoked by the Collegio Sacerdae to be allegorical symbols representing a myriad of different human and natural elements. With the understanding that all classical gods represent elements of our human existence, Sandus has been working to introduce this secular “religion” into Sandum culture for both the cultural benefits and for the benefits to the Sandum identity — the identity which has been “reconciled […] to be a matter of our daily lives – not just an exceptional part of our lives,” according to the Address. You can watch the Sôgmô’s Sancta Address for the Regifugia bringing in the MMXIV (2014) year here. In the past year, Sandus has dedicated itself to fervent advancement on the basis of moving away from home. As much of Sandus’s population begin to grasp the reality of adulthood, the Sandum culture is one increasingly transformed by social and cultural independence, making the spirit of Libera and Philia even more important to us. Over the past few months, we have transformed the many cultural innovations of past years into traditions, while incorporating even more holidays into our daily lives. While Sandus is still our country and our nation, we have reconciled it to be a matter of our daily lives – not just an exceptional part of our lives. However, culture is not the most important improvement in Sandus’s existence in the past year. Sandus is moving towards advancing and developing its social, political, and governmental infrastructure. With the leitourgía and liaison programs, Sandus is working towards making citizens and non-citizens alike active in Sandum culture and society; with national development programs, such as unveiling persumae last Summer, Sandus is moving towards identifying itself into the coming ages. Sandus is working to make its identity synonymous with our daily lives, to move our micronation from being an exceptional thing to a defining characteristic. Part of our civil religion, a secular and cultural function of the Sandum government for culture-building, is geared towards this. In Sandus today, our holidays are becoming defining aspects of our lives – not just exceptional parts of our lives which we hide from others, but are becoming more important parts of our social lives as citizens, friends, and family members. Part of this reconciliation with our social lives determines the fact that the Sandum nationality and the Sandum identity are becoming entrenched in the Sovereign People. With our holidays becoming more entrenched in our annual and daily lives, so too will our identity as Sandum People and our culture will become stronger. Civil religion is not just impacting our society or culture, it also impacts our government. Understanding the primeval animistic and anthropomorphic influences of classical religion that influence us, our culture is influencing Sandum policies in government, and vice versa. With divinities such as Athena, our matron, Sandus has grown an appreciation for state-building exercises, projects, and policies; with divinities such as Aphrodite, we have grown a respect for sexual minorities and, with Hermaphroditus, for gender minorities. Take, for example, the Matronalia which we celebrate soon: following the First of March, we will celebrate Women’s Day on the Eighth of March as well, where Sandus celebrates its liberal and progressive society that stands for women’s issues. The days of the Regifugia and of the Matronalia represent a great fortunate time for us to reflect on Sandum culture and its development, as well as to reassess where Sandus is going and where we want it to go in the very near future. Come, sacred lamas of the Three Jewels. Teach to Us the Dharma for the termination of suffering, of ego, and of desire. We recognise our desire, our suffering for the end of our suffering and of all the world’s. We take refuge in the Lama, in the Buddha, in the Dharma, and in the Sangha. I consecrate this altar and temple of the space of this Office! To Janus and to the Muses, I accord You the highest thanks. For it is after You that I can do these prayers well. To Athena, our Matron!, bless us for You are our mother. Affirm our State as a civilisation under You! Highest Thanks for Your work! To Zeus, Hera, Hades, Persephone, Poseidon, Hestia, Apollo, Artemis, Hermes, Ares, Aphrodite, Demeter, Hephaestos, Asclepios, Dionysos, and all Gods of Olympos, their friends and families, and all connections: May you please Bless Us! To the servants and friends of the Great Gods on Olympos, I am without regret! To Eros, Hebes, Heracles, Pan, Aeolos, Amphitrite, Anemoi, Aura, Bia, Circe, Deimos, Dione, Eileithyia, Enyo, Eos, Eris, Ganymede, the Graces, Harmonia, Hecate, Helios, the Horae, Hypnos, Iris, Kratos, Leto, the Fates, Momos, Morpheos, the Muses, Nemesis, Nike, Nyx, Paean, Perseos, Phobos, Selene, Styx, Thanatos, Theseos, Triton, Tyche, Zelos, to all numina, and all others in the world: May you please Bless Us! To the Primordial Gods, Waters, Chthonic, and in These Lives: I invoke You, May you please Bless Us! To the Gods of the rural and urban land, the same: May you please Bless Us! To all the Gods of our ancestors Greek and Roman: May you please Bless Us and our State, and may we be in your safe-keeping. For this day is for You in our State, with deference to the modern spirit of secularism and of religion, and now for I am the sovereign of our State of Sandus, by the people among us in this world, I accord You the Highest Thanks to All Gods of Our State! If something in this rite was poorly done, I say to You my regrets and I give You this humble water. May We, the Sandum People and the State of Sandus, have all that is good, auspicious, fruitful, fortunate, and healthy! It is so ! It is done and Happy New Year of MMXIV (2014)! As per tradition as well, the Sôgmô has published the administrative calendar for the upcoming Sancta year here. The Sôgmô has also seemingly created a new tradition for the Matronalia, which is lacking in Sancta holidays for its traditions and celebrations. 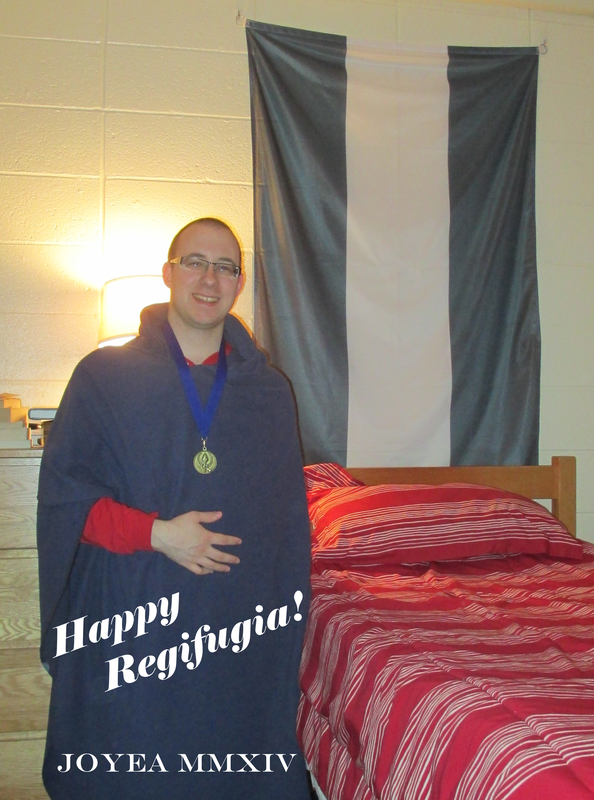 Whereas the Regifugia has the Sancta Address, the Matronalia has so far been lacking any sort of tradition or celebratory event. The Sôgmô has changed that today, when he went with friends down to Washington D.C. to visit art galleries, shop in the LGBT district of Washington D.C. at DuPont Circle, and enjoy coffee. Tomorrow, for Losar, the Sôgmô will enjoy a brunch with the Sandum Royal Family before returning to his residence and doing the regular Tsog practices for Sandum Buddhist Holidays. In the future, these actions may turn into new traditions for the Sancta new year holidays. The Matronalia is also a day that has impacted Sandus’s adoption of Women’s Day as a State Holiday last year (MMXIII, 2013). Traditions are set to be made for that day as well. The Sôgmô after giving the Sancta Address for the coming of the MMXIV year.